Before selling your home, most people try to spruce up their property by decluttering and doing a thorough clean. But many people forget the area that gives a first impression is the garden. We all like to get outside and enjoy a sunny summer afternoon, so make sure your garden looks appealing for a potential buyer. Here are some easy tips to follow to make your garden add value to your property. Just like inside your home, some decluttering and garden maintenance can add value to your property. Always start with tidying and key maintenance. Susie Davies from Debbie Fortune Estate Agents in Somerset recommends maintaining the lawns. “A manicured lawn always enhances the appearance of a garden and makes it look bigger,” she says. Once your garden is tidy, it is time to make it into a key selling point that potential buyers will love. Struggling for time or budget? Start where your potential buyer will start and focus on this area. “Never forget kerb appeal, and, more relevant in the online age, photo appeal. The first impression really does count, so always start with the front garden,” says Martin Moore from Morris Marshall & Poole in Wales. A well-maintained garden will make sure a buyer is not put off your property, but something more can make them want to buy your property above any others they have seen. Sheds are not only practical, but they are coming back into fashion. They can be used from anything as a useful place to store bikes and lawnmowers to a garden retreat. “By putting up a good-sized shed, you are adding a useful storage space for gardeners and families with outdoor furniture and even toys,” says Andrew Lodge. If you’re looking to spend less to add value to your property, don’t underestimate the impact of a good coat of paint on fences, sheds and other wood in the garden. “Adding value to your home through the garden doesn’t have to break the bank. 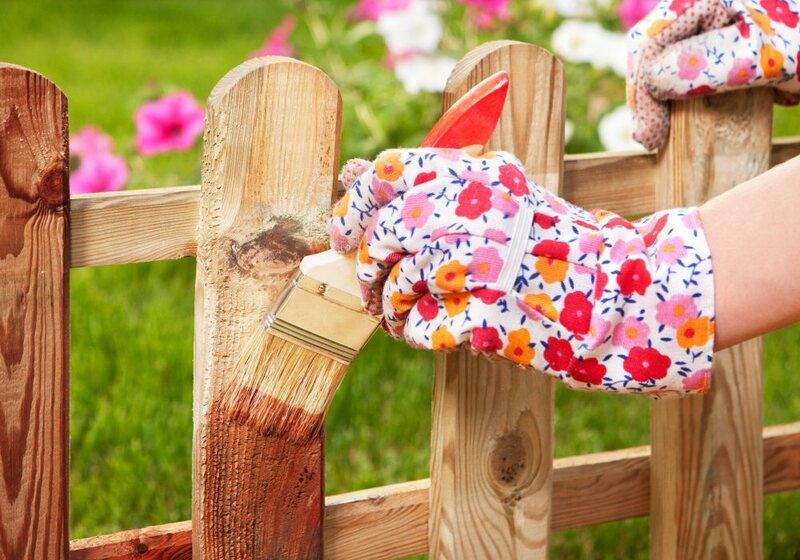 If you have decking or a perimeter fence, you could freshen it up with a coat of paint. If the garden is presentable it will be more attractive to viewers and could increase the price a potential buyer is willing to pay for your home,” suggests Jared Thomas from Emsleys Estate Agents in West Yorkshire. You wouldn’t show a room to a potential buyer without any furniture in it, so why show a garden without a table and chairs? “Depending on the size of the garden and who it will appeal to, ensure that the lawns are cut or the terrace is swept and ideally have the garden furniture set up so buyers can imagine themselves sitting out enjoying an al fresco evening,” said John Newhouse. 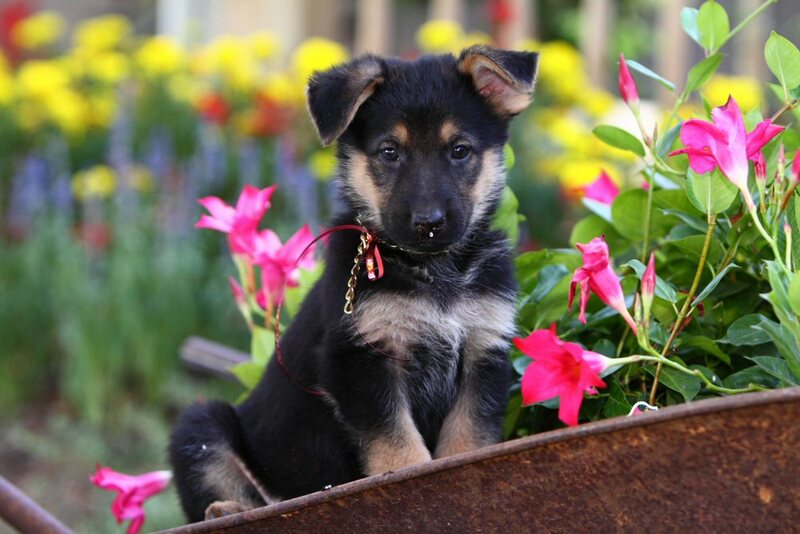 If the people viewing the house have pets, they will want to see a garden that is fully secured to avoid an escaped dog. If your home is overlooked by other homes or gardens, it’s a good idea to give the idea of privacy to the garden. If it isn’t too expensive, add hedges or trees in key spots. It will make the potential buyers be able to imagine themselves enjoying a peaceful afternoon outside in the summer. Susie Davies advises that ornamental trees have a pleasing, aesthetic effect in a garden. Are you looking for a new home with a beautiful garden? Contact a Guild Member today to start your property search.